Once you navigate to a translation, you will be shown set of links which lead to translation. These are results of various checks, like untranslated or fuzzy strings. Should no other checks fire, there will be still link to all translations. Alternatively you can use search field to find translation you need to fix. There are various extra information which can be shown on this page. Most of them are coming from the project source code (like context, comments or where the message is being used). 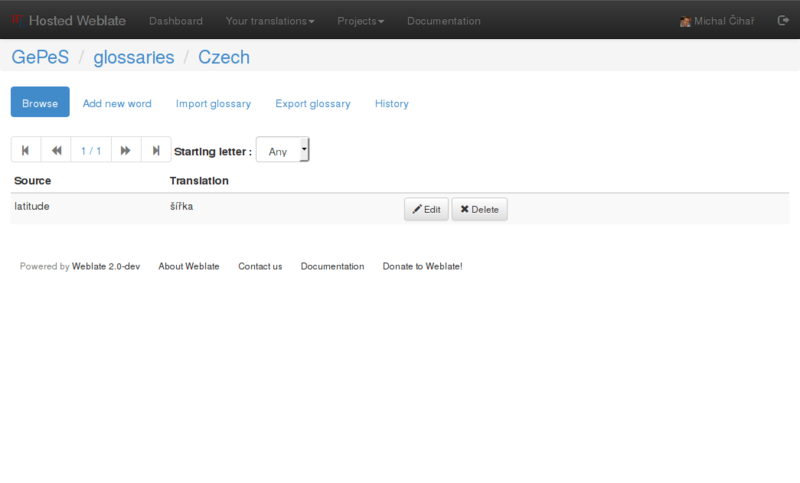 When you configure secondary languages in your preferences, translation to these languages will be shown. What are plurals? Generally spoken plurals are words which take into account numeric meanings. But as you may imagine each language has it’s own definition of plurals. English, for example, supports one plural. We have a singular definition, for example “car”, which means implicit one car, and we have the plural definition, “cars” which could mean more than one car but also zero cars. Other languages like Czech or Arabic have more plurals and also the rules for plurals are different. 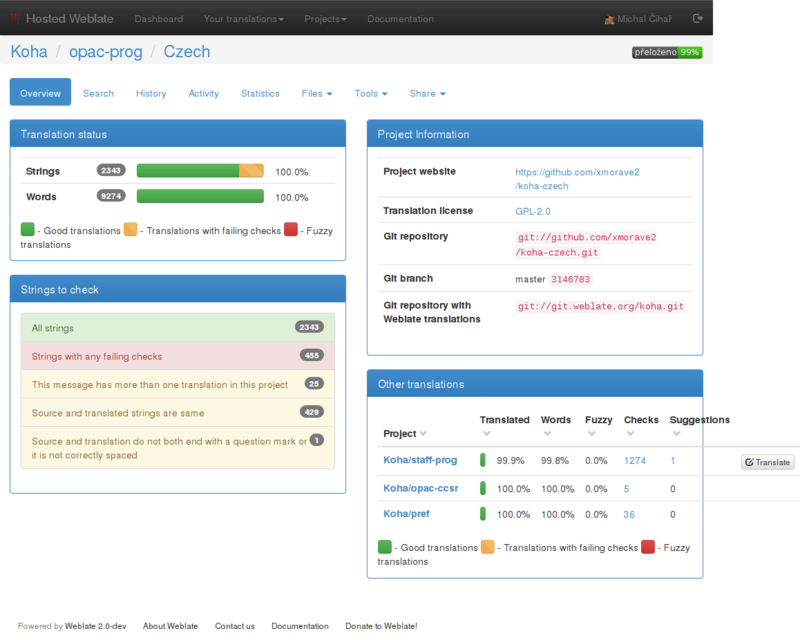 Project information like instructions for translators or information about Git repository. This ability might be limited by Access control. Imported translations are added as fuzzy translations. This can be useful for review as well. 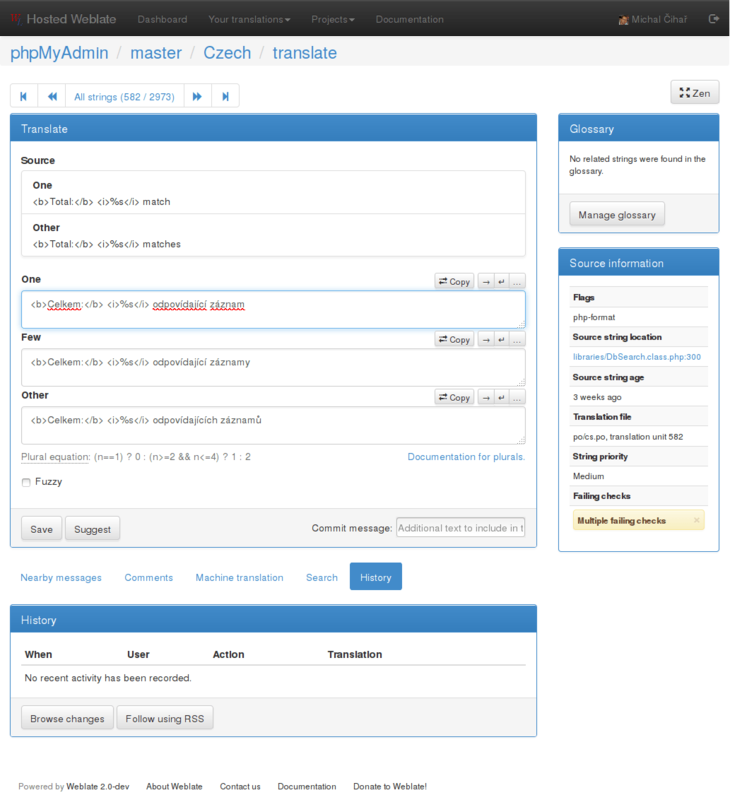 Additionally, when adding as a translation, you can choose whether to overwrite already translated strings or not.